May finished so fast! 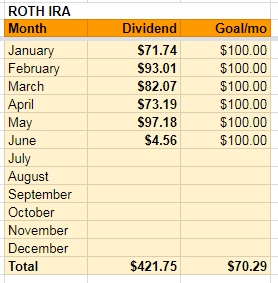 I had a very little time to post and update my trading results and dividend investment progress. 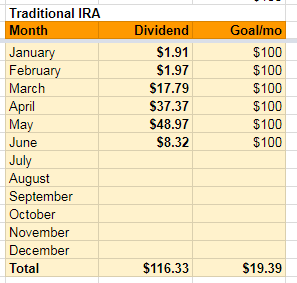 May 2018 finished well as we made nice cash trading options and purchased a new dividend stock positions increasing our future dividend income. Click below to read more! 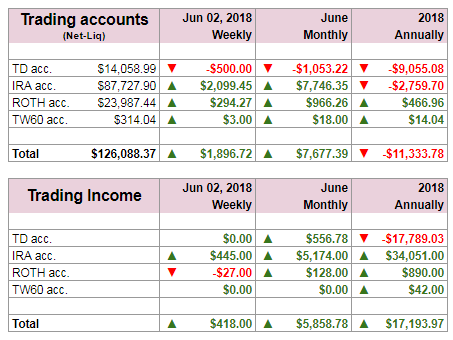 In May 2018 we made $5,858.78 income trading options across all our accounts. I still struggle to bring the trading account (TD account) to good shape and this account is losing money due to bad trades I originally decided “to deal with later on”. You can follow our trading results on our Facebook page where we post it faster than in this blog. Our net-liq keeps improving after February selloff however, I see that our trading strategy is not as perfect as I wanted it to be. There is something missing and I do not know what. Our cash increased significantly yet our net-liq is still deeply depressed. If our trading is supposed to provide income in the future (trade for a living) than the current results, although great, would not provide the desired stream of income. The cash is technically blocked by the open trades and I cannot take them out. That’s also a reason for investing the proceeds from options trading into dividend stocks as the dividends will (or should) bring additional income in the future should the trading income be slow or none. Some people or traders would start selling you their trading holy grail and charge you arm and leg for their “secrets”, I do not plan on doing so (should I ever create any lessons to help beginners trading). I want to rely on passive income rather than selling you my trading strategy. Which, by the way, I do not consider anything extra-ordinary. 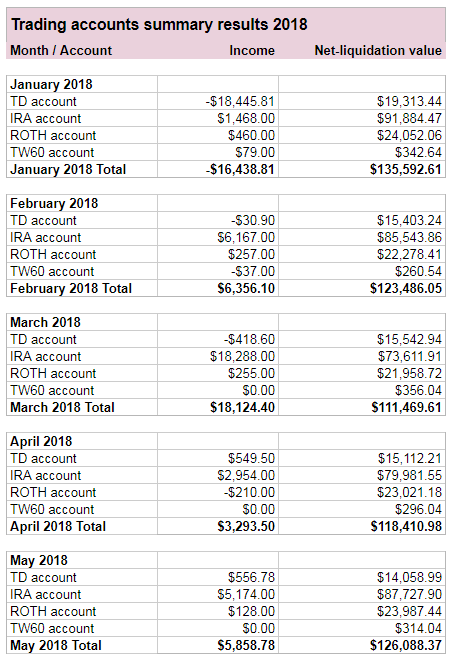 Our income from trading options in May 2018 reached nice $5,858.78 dollars. 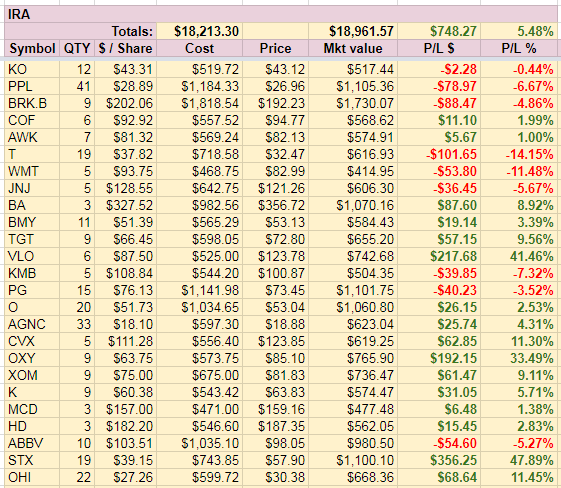 However, right in the first day in June I was forced to take a significant loss in our trading account, so I expect June to be a bad month. However, I had a hard time to decide between COF or Bank of America (BAC) as I wanted some exposure to banks and both symbols showed on our watch list as undervalued stocks. Investing into stocks for a long term may not require a precise entry point (if you plan to be in a stock for the next 20 to 30 years, it really doesn’t matter if you buy a stock at $35 a share or $40 a share) yet I agree with Benjamin Graham that you still want to look for the best entry anyway. Why pay more than what you have to!? Then, buying into a stock is a matter of elevation. The more the stock is elevated, the riskier it is. And what does it mean that the stock is or is not elevated? it is a simple matter of how much from the mean the stock price is. If we consider a stock’s mean to be represented by 200 day moving average, then the further above 200 day MA the price is the more elevated it is. Looking at those charts, comparing them together, they made my decision easy. I decided to purchase COF.